Was That a Vision or an Idea? Visions and ideas are often confused for each other. The resemblance can be attributed to their perceived origin. When visions and ideas are shared, it sounds like they came from the same place. We hear visions and ideas speak to us from leaders, task-forces, (out of) the blue, resident genius and strategic planning documents. The consequence of mistaking one for the other is lost time and energy. The sum of many good ideas remains less than one vision. 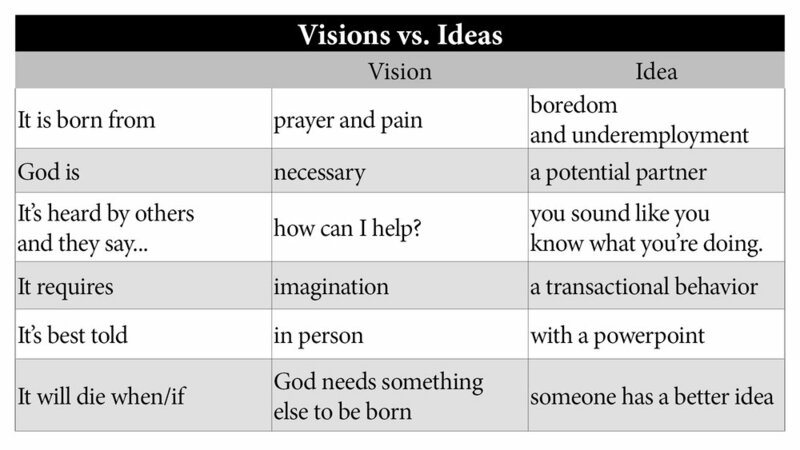 As our church begins to imagine who God is calling us to be in the future, it will be helpful for us to know how to tell one vision apart from a bunch of good ideas. The chart below is not officially sanctioned by anybody but me. Still, use it with caution. You may find yourself doing less and praying more. For those of us accustomed to measuring our faithfulness by our busyness, this will be different. 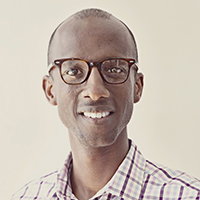 Amos Disasa is the senior pastor of First Presbyterian Church of Dallas. He previously served most recently as a co-pastor of Downtown Church in Columbia, South Carolina. Amos graduated from Presbyterian College in Clinton, S.C. and Wake Forest University in Winston-Salem, N.C. He and his wife Sarah have two children. On Sunday, October 21, we began. Our young people offered their gifts of voice, leadership and art to bring together a wonderful day of worship. Youth Sunday is this weekend. The months of hard work by our youth will come to fruition. We will pray and sing praises. It will be a thin place. The seven piece crèche took around 6 years to complete.